Designer, she graduated at the Art School and then at the Academy of Fine Arts in Bologna. 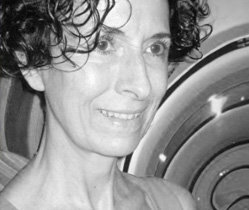 In 1984 she joined Plastimoda to deal with product design and industrialization, from the small leather goods to travel bags for the brand Mandarina Duck, for which she became the style director. This experience is crucial for the development of her design capabilities focused on innovation and research, where the product is designed not only as an aesthetic expression, but as the realization of everyday objects with an emphasis on functionality. At the opening of the new millennium, she decided to start up a consulting business, collaborating with various companies and brands to develop diverse projects from luxury to sport. Among her clients: Bulgari, Calvin Klein, Ferragamo, Nava Design, Nike, Pirelli, Timberland, Trussardi, Tumi. “D come Design - la mano, la mente, il cuore”, event Torino 2008 World Design Capital.